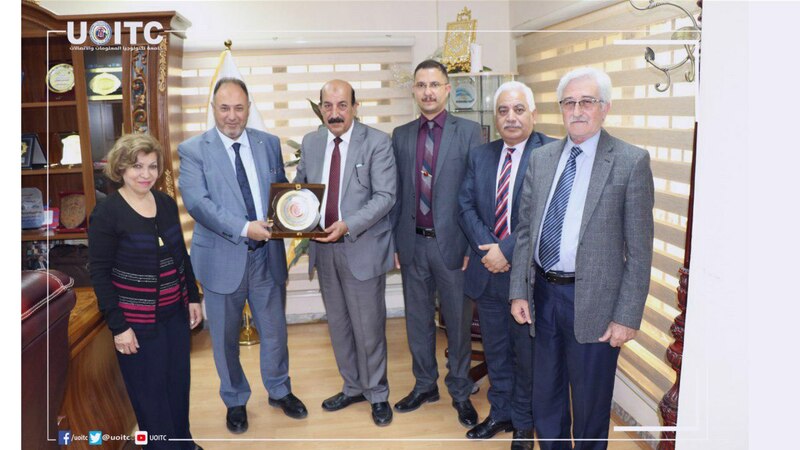 The President of the University honors the South Islamic Bank for Investment and Finance with the University's shield. The President of the University honors the South Islamic Bank for Investment and Finance with the University's shield The President of the University of Information Technology and Communications, Dr. Abbas M. Al-Bakry honored the South Islamic Bank for Investment and Finance with the University's shield for their cooperation in the field of training. 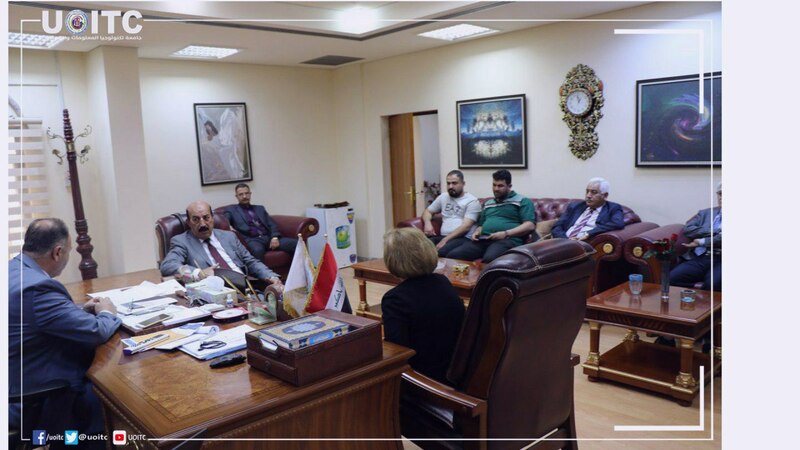 The President of the University received in his office the Director of Media and Public Relations and the representative of the Department of the South Islamic Bank, Mr. Jamal Shaker and a number of employees who praised the role of the university and its students in the commitment to training and consulting between the educational institution and the private sector. 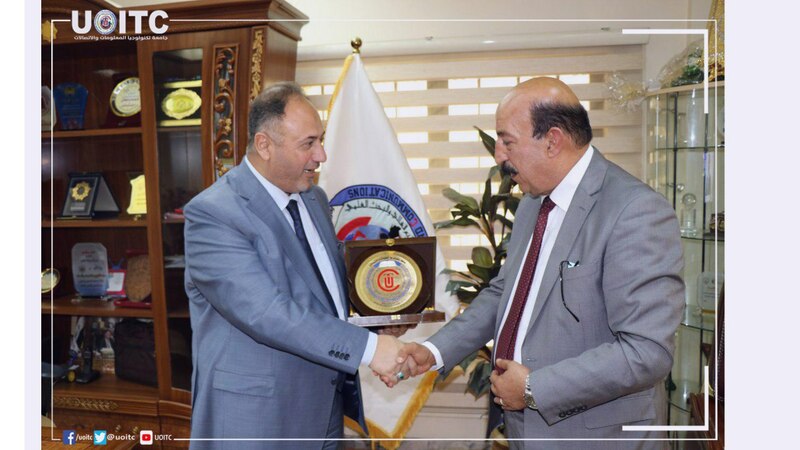 The meeting, which was attended by the university's assistant president for scientific affairs and a number of university lecturers, discussed the working mechanism and constructive cooperation between the banking sector and the university in the field of information systems and management of financial management. It is worth mentioning that the Islamic Bank of the South hosted a group of students from the third phase of the Department of BIT and gave them a practical training lecture for Advanced Methods in Business Analyses. The lecture was attended by Dr. Hassanein M. Al-Taie, Unifying the methods of theoretical teaching and linking it to the practical aspect and knowledge of the needs of the labor market, where the delegation listened to the vision of the bank and its handling as well as the means and electronic systems used to facilitate banking, where the bank provided all facilities of information or specialists to organize this lecture and answer students' questions.